Last year I built a traditional greenhouse that was 8 foot to the peak and up against the fence. Well the wind tore a bit of poly off and it turned into a rocket ship one night. 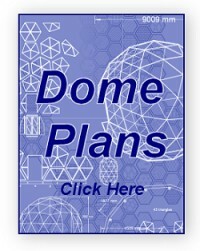 I would imagine that a dome would allow the wind to glance off much easier than a single sloped roof. Which dome configuration would allow 6 to 8 feet of headroom while having one side a 6 foot fence?